Lower key and more intimate than usual, The Penfolds Collection 2018 UK press preview with Peter Gago took the form of a free pour tasting, followed by dinner at Hide. A serendipitous choice of venue which, like each release of Australian icon Penfolds Grange, hits the news this week as Ollie Dabbous and Hide won their first Michelin star, within six months of opening. You’ll find my tasting notes from The Penfolds Collection 2018 preview below, together with information provided by Penfolds about vintage and drinking windows. 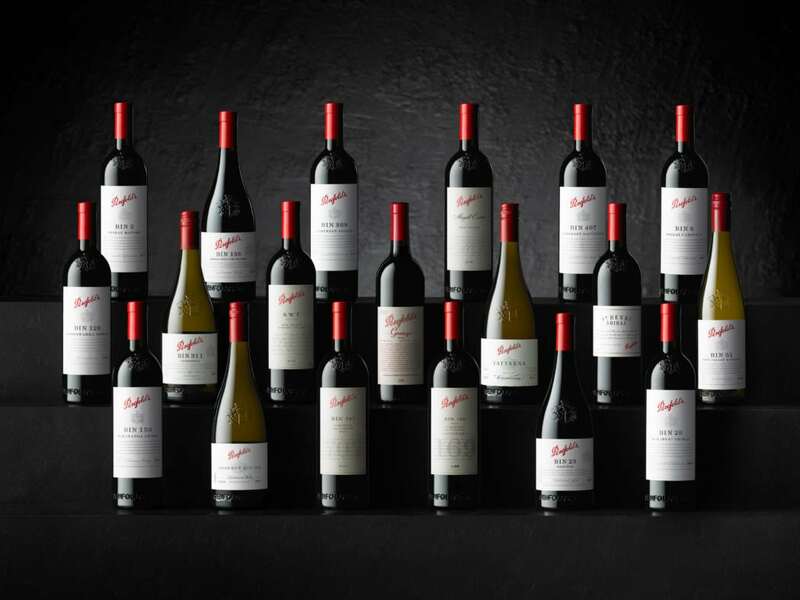 I’m informed that all wines in The Penfolds Collection 2018 will be available from the following retailers – Berry Bros & Rudd, Cru Worldwide, Bordeaux Index, IG Wines, Lay & Wheeler, Fine & Rare, Justerini & Brooks, Corney & Barrow, Harrods, Hedonism, Majestic, The Wine Society, Philgass & Swiggot, Laithwaites, Fraziers, Cadman Fine Wines, Vinorium. Quite the enviable distribution network. Vintage: above average winter rainfall in Eden Valley provided good soil moisture profiles leading into spring. Drier conditions then prevailed from September through to April which was 22% down on the long-term average. Spring provided ideal conditions for flowering and fruit set while the growing season experienced temperatures above the long-term average, with twelve summer days recorded above 35°C. Healthy canopies shielded the grapes from adversity and with careful use of supplementary irrigation the grapes were able to ripen evenly across blocks. The 2018 vintage quality was exceptional, with lovely varietal flavour and natural acidity. Vintage: each of the three source regions enjoyed plentiful winter rainfall, with several records broken. In Tasmania, good winter rainfall continued well into spring. Tumbarumba in New South Wales was above the long-term average while the Adelaide Hills recorded the highest annual rainfall since 1992. Across all regions, the 2017 season was a return to more average conditions, following the warm, dry and early 2016 vintage. Maximum spring temperatures were low but minimum temperatures were higher than average and there was no frost. In contrast to the high rainfall in winter and spring, the season ended dry and clear. February conditions were unusually cool and dry, and as a result the grapes showed fine acidity and elegance. Harvest was pushed back by the generally cooler conditions, which allowed grapes to slowly develop flavour intensity. A warm and dry March provided a perfect end to the season with strong quality markers across all regions. Vintage: above average winter and spring rainfall offered the vines in the Adelaide Hills healthy soil moisture profiles for the growing season. September rainfall was significantly above the long-term average. Cool days and cold nights slowed vine growth in early spring with temperatures eventually warming in October. A mild and mostly dry start to summer was followed by two significant rain events after Christmas. January was mild with few hot days and unseasonal rain. The lower than average temperatures and abundant rainfall during the growing season and veraison produced a vintage that challenged both winemakers and viticulturists alike. Moving into March, mild days slowed ripening with cool nights and warm days persisting until harvest. Mild conditions allowed for a long hang time resulting in terrific flavour development and welcomed acid retention. Vintage: Tasmania’s Derwent Valley experienced a dry winter followed by significant spring rain. Above average temperatures persisted through the growing season to harvest, encouraging vines to set a balanced crop with healthy canopies. An excellent vintage for both yield and quality in Tasmania. Henty in Victoria enjoyed good winter rainfall, with regular showers in spring. Conditions for the harvest were benign, favouring good yields and optimal ripeness. The Adelaide Hills growing season was mild and dry. Conditions for fruit-set and flowering were favourable and contributed towards above average yields. Cool February conditions ensured ripening was steady and the slightly early start to vintage was a result of a mild and dry growing season. 2016 was a warm, relatively dry and early vintage for Tumbarumba, with harvest commencing 2 to 3 weeks early. Growing conditions were close to ideal, with good winter rains, a warm and clear spring and a rain free harvest. Tasting note: Sourced from Tasmania, Henty, Adelaide Hills and Tumbarumba, the fruit spent 8 months in French oak barriques (35% new). A coolly concentrated, pure nose (you smell the freshness and definition) firmly reinforces Penfolds Yattarna 2016 ‘s cool climate credentials. A burnish of spicy, nutty (praline) oak in no way detracts from (rather it adds polish to) Penfolds Yattarna 2016’s crystalline palate, with its fresh applely bite and piercing, pick up your skirts and run with it racy grapefruit – an accelerant. Mercilessly mouthwatering, with plenty of back palate resonance and terrific length, it showcases this wine’s trademark power, purity and precision beautifully. 13.5%, TA: 7.1 g/l, pH: 3.14 RRP £149.00, 2020 to 2035. Vintage: the 2016 vintage will be long remembered as exceptional in the Barossa Valley. Winter rainfall was only 72% of the long-term average. A warm, dry spring was ideal for flowering and fruit-set. Warm conditions prevailed in the early part of the summer allowing vines to grow well with good bunch set. Milder conditions in January allowed for optimal flavour development, with late rain refreshing the vines. The early ripening shiraz picked in February showed great intensity. A spot of March rain delaying the harvest of the later ripening grenache and mataro allowing for great flavour development. Despite the challenges of a relatively dry season, ripening was even with smaller than average berries. Older vines, such as those preferred for Bin 138, performed especially well in the prevailing conditions. Tasting note: this Barossa Valley blend comprised 72% Shiraz, 16% Grenache, 12% Mataro. It spent 12 months in seasoned French and American oak, which allows the fruit to shine. It reveals bouncy, aromatic plum, creamier black cherry, black pepper and mocha nuances. In line with current trends, whilst 100% Barossan in its generosity of expression, said generosity does not extend to girth. The fruit is bright, making for a motile wine with fine, softly mouthcoating lees – a subtly savoury, textural underlay going through. Meatier, spicy Mataro tannins gently firm up the finish. Very approachable now with mid-term ageing potential. 14.5%, TA: 6.5 g/l, pH: 3.63 RRP £35 Now to 2030. Vintage: rainfall in Coonawarra was significantly below the long-term average for the entire growing season, while above average temperatures prevailed. Budburst, flowering, veraison and harvest were all earlier than is usually expected of this relatively cool region. December was especially warm with 9 days recorded over 35°C, accelerating vine growth with record times between budburst and veraison. Cool south-easterly breezes originating off the nearby Southern Ocean moderated temperatures from January onwards. February and March temperatures were mild, and the cold nights and warm days delivered an extended ripening period. Overall, tremendous colours, flavour and fine textured tannins. Tasting note: this Coonawarra Shiraz spent 12 months in French oak (30% new). A deep hue, quite opaque. Elegant of delivery – like a fine golf swing – Penfolds Coonawarra Bin 128 Shiraz 2016 has an impressive arc of flavour, with sweet, juicy blood plum and berry fruit (nice concentration/intensity), liquorice and a murmur of black pepper, which gets louder on a spicy finish with ripe yet chewy, textural tannins. Intense not dense, it has Penfolds’ customary polish, but shows off its cooler (than for Bin 28) climate credentials well. 14.5%, TA: 6.6 g/l, pH: 3.64 RRP £35 2019-2035. Vintage: all the major growing regions in South Australia experienced ideal conditions leading into the harvest of 2016. Overall, the season started off cool and dry, with low rainfall. Spring and early summer warmed up considerably resulting in an average growing season with little rainfall. A warm, dry spring was ideal for flowering and fruit-set. Warm conditions prevailed in the early part of the summer allowing vines to grow well with good bunch set. Milder conditions in January allowed for optimal flavour development, with late rain refreshing the vines. Despite the challenges of a relatively dry season, ripening was even with smaller than average berries. Harvest commenced quickly with shiraz showing great colour and complex flavours. Tasting note: this Shiraz was sourced from Barossa Valley, McLaren Vale, Padthaway, Upper Adelaide and Wrattonbully and matured for 12 months in seasoned American oak hogshead. It has a very classic Penfolds’ savoury cola/sarsaparilla-laced nose and palate, with concentrated but juicy blackberry fruit, spicy tannin grip – good chew and flow going through. With its backdrop of mocha and praline oak, the fruit quality shines. Full-bodied, with an unreconstructed – hey, I was born in the fifties – edge. 14.5%, TA: 6.8 g/l, pH: 3.64. RRP £32. 2022-2034. Vintage: Marananga, in the centre of the Barossa Valley, was a highlight in a very good 2016 vintage. Winter rainfall was only 72% of the long-term average. A warm, dry spring was ideal for flowering and fruit-set. Warm conditions prevailed in the early part of the summer allowing vines to grow well, with healthy canopies and good bunch set. Milder conditions in January allowed for optimal flavour development, with late rain refreshing the vines. Despite the challenges of a relatively dry season, ripening was even with smaller than average berries. Harvest in Marananga Barossa Valley commenced quickly with shiraz showing great colour, ripe tannins and complex flavours. Vintage: Autumn and winter rainfall across South Australia’s main growing districts were below average, conditions that prevailed through spring. Temperatures in spring and early summer were above the long-term average, allowing vines to get away to a quick start. Some late rain in January and early February was a welcome relief, refreshing stressed vines and improving yields. Cooler conditions followed from mid-February which suited the later ripening cabernet sauvignon. Warmer districts had a break with some early March rain delaying the harvest and allowing great flavour development. The cooler districts in the south-east were picked two weeks earlier than usual. Grapes across all the main growing regions were able to ripen evenly and develop desirable flavours, outstanding colours and fine tannins. Vintage: Autumn and winter were dry and cool across South Australia’s growing regions. Record low rainfall prevailed through September to March. These conditions delayed the start of the growing season in the Barossa Valley and other warmer regions. However, in cooler Coonawarra, budburst, flowering, veraison and harvest were all earlier than is usually expected. Warm conditions prevailed across all regions in the early part of the summer allowing vines to develop healthy canopies and good bunch set. Late rain in January and early February was a welcome relief across South Australia. Temperatures in spring and early summer were above the long-term average, resulting in an early harvest for shiraz. Cooler conditions followed from mid-February which suited the later ripening cabernet sauvignon. Grapes across all the main growing regions were able to ripen evenly and develop desirable flavours. Vintage: rainfall in autumn and early winter were close to the long-term average in most of South Australia’s main growing regions. However, the rain stopped abruptly in early August with only a few light spring showers recorded. September through to March saw record low rainfall, stretching water supplies. Warm and dry conditions during flowering and fruit-set resulted in rapid grapevine growth and early flowering. During early summer temperatures dropped below average with no major heat waves recorded. The harvest progressed rapidly, with most blocks of shiraz picked earlier than usual. Although the conditions resulted in lower than anticipated yields, the quality of fruit across the board was exceptional. Vintage: Autumn and winter were relatively dry and cool across South Australia. Temperatures during the growing season were significantly above the long-term average in all regions, with Coonawarra recording nine days above 35ºC in December alone. Record low rainfall prevailed through September to March with the annual rainfall in Coonawarra 38% down on the average. The McLaren Vale region also experienced record low rainfall and warm weather in late spring/early summer. Cooler conditions in late February favoured the late ripening cabernet sauvignon. The Barossa Valley had 100mm less than the long-term average winter rainfall. Spring and summer were both relatively dry and warm. December was particularly hot, with access to water vital to support the vines. Some relief arrived in January and February when temperature dipped significantly. Cooler weather and rain in March slowed ripening. After a hot beginning, the welcome milder ‘Indian summer’ conditions leading into harvest across South Australia ensured even ripeness and optimal flavour. Vintage: Above average winter rainfall equipped the vines across South Australia with healthy soil moisture profiles. Spring in the Barossa Valley was the windiest in 47 years with significant heat records set. Warm conditions prevailed during summer and throughout veraison. However, just as vintage was about to commence an extreme rainfall event occurred in the Barossa Valley and Clare Valley slowing harvest. This extra time allowed grapes to ripen evenly with good flavour and tannin development. By contrast, McLaren Vale had 21% less rain than the long-term average from September to March. September was the wettest of the spring months with a hailstorm and windy conditions prevailing from October through to November, while harvest in McLaren Vale was delayed due to a rain event in mid-February. Wrattonbully and Coonawarra both enjoyed good winter and spring rainfall, with cold and wet conditions carrying well into December. There were heat spikes through summer, with temperatures reaching 43ºC on February 2nd. By mid-autumn the weather had settled down to generally cooler conditions, optimal for slow ripening. Across South Australia, shiraz benefited from the long spell between veraison and harvest, with grapes exhibiting brightness, crisp acid retention and impressive fruit quality overall.